It appears that Prime Minister Narendra Modi and BJP president Amit Shah plan to micromanage the Gujarat Assembly elections from Delhi. 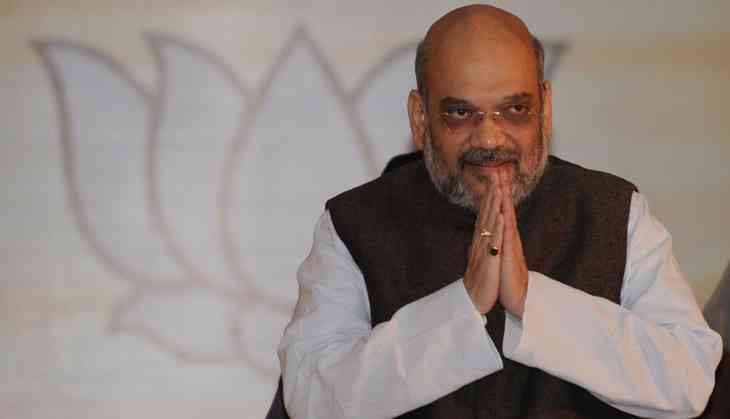 On Thursday, Shah along with Union finance minister Arun Jaitley, held a high profile meeting and the agenda was outlining the party's strategy for the Gujarat Assembly polls that are due later this year. Interestingly, the only representative from Gujarat at the meeting was state BJP president Jitu Vaghani. The others were all Central BJP leaders - Union ministers Arun Jaitley, Narendra Singh Tomar, Nirmala Sitharaman and Jitendra Singh, general secretary (organisation) Ram Lam and general secretary Bhupendra Yadav. While Jaitley is the party in-charge for the Gujarat polls, the other ministers are co-incharges. Jaitley has handled a number of Assembly elections in Gujarat in the past and is known to have a good working relationship with Modi and Shah. Party sources say there are two possibilities regarding why the meeting was dominated by central leaders. First, the BJP leadership plans to handle the polls from Delhi and doesn't have adequate faith in the capacity of the state unit and state government. Second, the meeting was about more than just Gujarat and the upcoming Cabinet reshuffle as well as the demonetisation issue could also have been part of the agenda. It is believed that Shah is miffed at the bad publicity the party has been getting after the revelation that 99% of old notes returned the banking system, effectively indicating that the entire policy was a failure. Addressing the media after the meeting, Bhupendra Yadav said that the purpose of the meeting was to strategise and discuss organisational issues for the Gujarat elections. Given Yadav’s explanation, the exclusion of state-level leaders has come as a surprise. “It is strange that Union ministers were involved the meeting but no one from the state unit or the Gujarat government. The only person from the Gujarat BJP was Jitubhai Vaghani,” a leader from the Gujarat unit told Catch. “Of course, those who want to give an explanation would say that Arun Jaitley is from Gujarat,” the leader said, sarcastically referring to the fact that Jaitley, a non-Gujarati, is a Rajya Sabha MP from Gujarat. A highly placed source in the Gujarat BJP said that the meeting was suspicious, particularly the fact that it did not include the Gujarat BJP’s general secretary (organisation) Bhikubhai Dalsaniya. “Everyone knows it is the general secretary (organisation) who plays the most important role in managing the campaign, particularly in a state like Gujarat where the party organisation is well-entrenched and processes well established,” the source disclosed. The general secretary (organisation) is supposed to be the main pivot that coordinates between the BJP and the RSS. It is interesting, therefore, that the national general secretary (organisation) Ram Lal was present but not his Gujarat level counterpart. What appears clear is that this indeed is an exceptional election for the BJP in Gujarat. It is the first Assembly election that is taking place after Narendra Modi moved to the Centre as the Prime Minister and Amit Shah took over as party president. The BJP’s Gujarat organisation has always enjoyed a significant degree of autonomy from the Centre by virtue of its strength on the ground and the fact that Gujarat has been an RSS laboratory for long. This time, however, it is clear that two individuals from Gujarat will be calling the shots. It remains to be seen how the state unit handles this.